In the previous post found here we created a custom ESXi image. The steps in that post were written for vSphere 6.0 however the steps hasn’t changed much from vSphere 6.0 to vSphere 6.5, just make sure to install PowerCLI 6.5. I recently upgraded to the Netgear M4300-8X8F (review coming soon) as my infiniband switch is no long supported with vSphere 6.5. 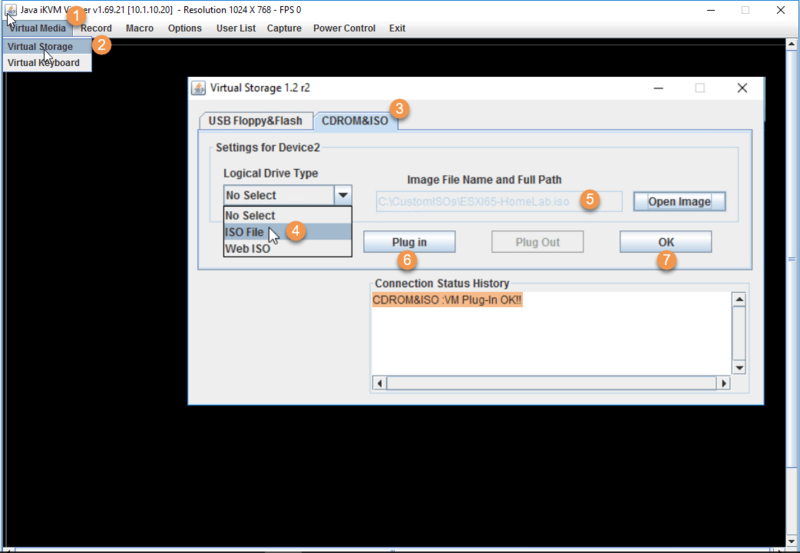 This has made creating a custom ESXi 6.5 image a much simpler process by adding a single VIB from Synology to support VAAI (hardware acceleration) for NFS datastores. But before we jump into the installation process it’s important to understand the requirements for ESXi. 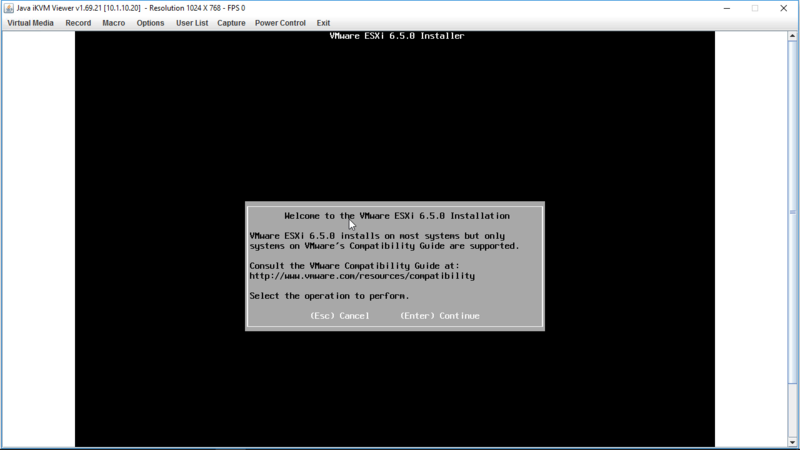 VMware’s documentation center for vSphere 6.5 found here provides all the necessary requirements / recommendations needed to successfully run ESXi on x86 hardware. 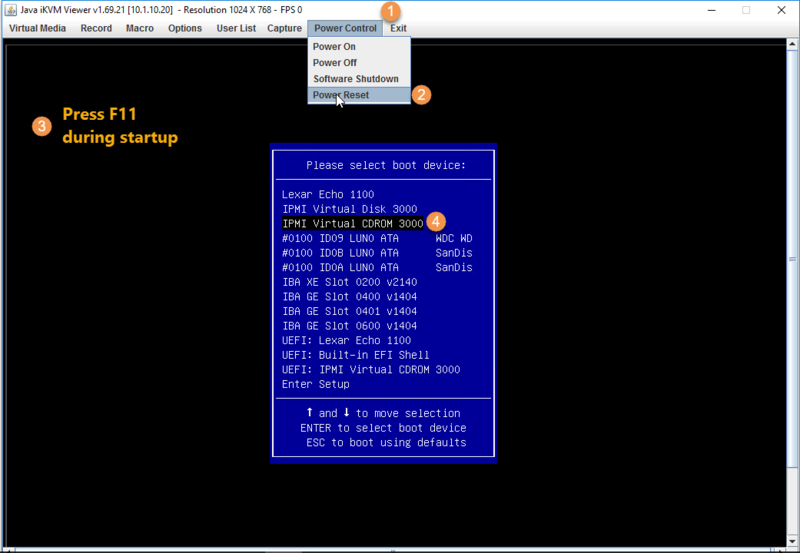 We’ll do an interactive installation using the Remote Management Application: IPMI and mount our custom ESXi image. Note: IPMI has been pre-configured on all the hosts. Type in IP Address or FQDN of your IPMI interface. In my case it’s 10.1.10.20. 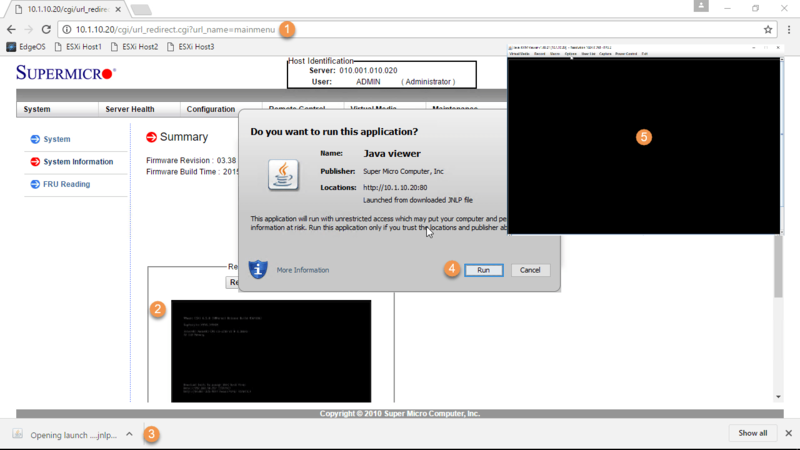 Click on the small Remote Console Preview window to begin the download of the Java application. Press F11 to accept EULA. Select the USB Drive to install ESXi on. Select keyboard layout: US Default. Type in Root password twice. Plug Out mounted ISO Image.